The kantele player Arja Kastinen (b. 1963) was the first Finnish folk musician to take the Doctor of Music examination in the artistic study programme at the Sibelius Academy in December 2000. What inspired her to do this was the ancient Karelian kantele improvisation. The examination included five concerts and a written dissertation. During 1997-2000, she gave five solo performances based on improvisation, entitled “Music based on the ideology and the acoustical phenomena of the kantele in the Karelian kantele improvisation”. The instruments she used were a 15-stringed kantele made by Keijo Säteri from Leppävirta, Finland, a 14-stringed kantele made by Rauno Nieminen from Ikaalinen, Finland, and a 9-stringed kantele brought from Karelia during the War in the 1940s. The original model for the 15- and 14-stringed kanteles was found in Korpiselkä, Finland, in 1916 and is now kept at the National Board of Antiquities (The National Museum of Finland). 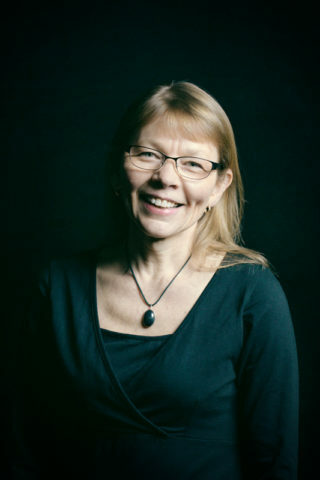 In her performances, Kastinen mixed the old and new playing techniques presenting the versatile timbres and acoustic properties of the kantele. The concerts were experimental journeys to the dim and distant past seeking to uphold tradition while creating new things. The title of the doctoral dissertation was “An Acoustical investigation of a 15-stringed kantele”. The first chapter deals with the basic principles of musical acoustics mainly examined from the perspective of string instruments. The second chapter introduces the results of the acoustical investigation of the 15-stringed kantele. The measurements were performed in an unechoic chamber in the Instrument Research Centre of the Ikaalinen Institute of Arts and Crafts, Finland. Some strings of the kantele were played using different techniques and at different points of the string. The recorded sounds were then analysed by computer using the Intelligent Speech Analyser (ISA) program of Pitchsystems Oy, developed by Raimo Toivonen. M.Sc. (Tech.). The third chapter deals with tuning – first, introducing four different tuning systems and then clarifying the tuning of the 15-stringed kantele. During 2018-2022 Arja works on the five year grant for artists (Arts PromotionCentre Finland). Performing in Finland for about 30 years. Performances outside Finland in Sweden, Norway, Iceland, Estonia, Latvia, Germany, Italy, Belgium, France, Ireland, Serbia, USA, Kanada, Russia,Vietnam and Brazil. Research on aesthetics of the 19th Century Karelian Kanteleimprovisation in the light of contemporary sources; studies at the University of Tampere, 1984-1987. A biography of the Karelian kanteleplayer Vanja Tallas and the study of his music by FFT analysis, a thesis for the Master of Arts degree at the Sibelius Academy Folk Music Department, 1993. An acoustical investigation of a 15-string kantele; the FFT analysis of the harmonics and changes in their performance during different playing techniques. The doctoral dissertation, Sibelius Academy Folk Music Department, 2000. Mapping and researching historical small kanteles in Finnish museums during 2011–2013. Measuring and photographing all kanteles in the City Museum of Hämeenlinna, 2015. Measuring and photographing all kanteles in the Turku Museum Center, 2014–2015. Measuring and photographing all kanteles in the Sibelius Museum in Turku, 2015–2017. Brain and music: a six-hour exploratory improvisation concert (Musiikkitalo, Black Box, 6.2.2017) and related EEG measurement from the Cognitive Brain Research Unit, University of Helsinki, under Mari Tervaniemi, PhD.